← Adventures in Handcycling – the story of 2013! What a difference a year can make! 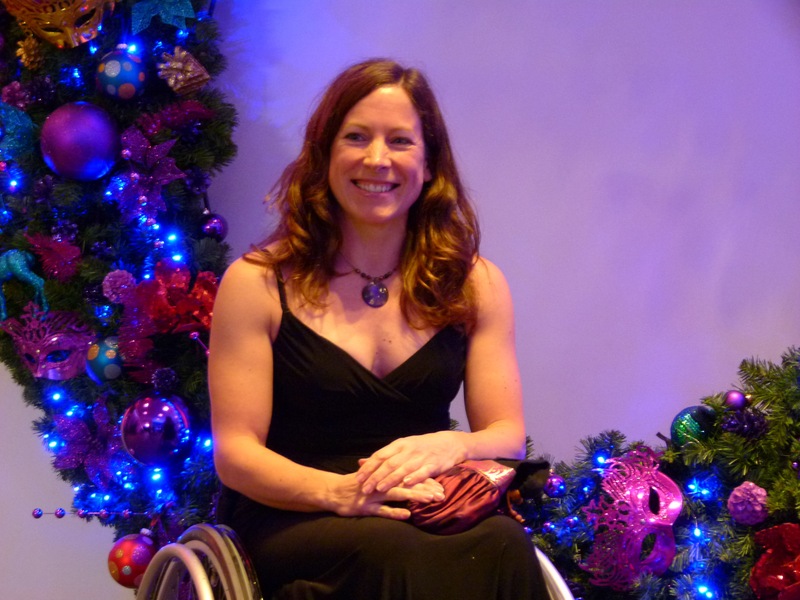 This was me in 2012, at the English Federation of Disability Sports Nationwide Awards evening just before Christmas, where I won a Rising Star Award for ParaTriathlon and a bursary of £1000 towards my competition costs. I’d won a bronze medal at the World ParaTriathlon Championships in New Zealand to finish a great second year in paratri. In March, I applied for the Lottery funded Paralympic squad for ParaTriathlon and was rejected by the British Triathlon Federation (@BritTri) as I was deemed too far off the Gold medal winning standards. I was 1:41mins behind silver but the BTF chose to take the silver medallist. They were not within the stipulated published criteria. Yesterday I heard from the Lincolnshire Sports Partnership (@LincsSport) that I was not successful in gaining a place on the Lincolnshire Elite Athlete Program (LEAP) for 2014 ‘as the level of applications this year was exceptional.’ I am further encouraged to not be disheartened but to ‘keep training and setting myself goals’. Unfortunately, not being on LEAP means my free access to the Meridian Leisure Centre in Louth will also stop in December. This will have serious repercussions on my training and race preparation. It’s sometimes difficult to deal with major setbacks in my sporting journey, especially when they involve funding that I need to take part in elite sport. I rely totally on charitable donations from individuals, Schools, small businesses and prize money to enable me to afford the costs of competing and am not funded by any National Federation. It can seem unfair that those who receive Lottery funding from their NGB also seem to be able to receive private sponsorship amounting to considerable amounts, allowing them to afford new equipment annually, training abroad, even cars, whilst those of us on the ‘fringes’ don’t. Fortunately all is not doom and gloom, as I have been busy networking and applying to other sources of funding. I’m so lucky to have received a grant from the Women’s Sport Trust (@WomenSportTrust) just this week, one of only five people to receive funding this year. It will enable me to at least travel to one, hopefully two UCI Para-Cycling World Cups next season. I’m also in discussion with a local firm, Viking Signs (@VikingSigns) and hope to have some good news regarding sponsorship in the New Year. And I will be setting up a Fundraising platform for donations soon, so keep checking my Blog! Thank you. I enjoy writing about my training and races. Glad you enjoy reading it! truly pleasant and the visitors are actually sharing good thoughts.